Staff photo by Tim Barber / On the fourth night of the Riverbend Festival, hundreds crowd the street during the Bessie Smith Strut Monday night. 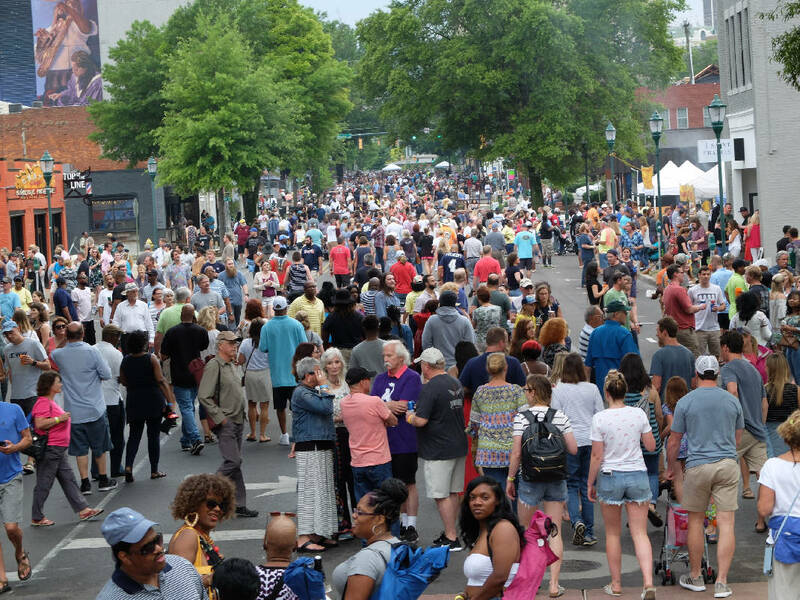 Details such as who will perform are still being worked out, but merchants, businesses and residents along Martin Luther King Jr. Boulevard plan to re-brand the Bessie Smith Strut into the Big 9 Roots Festival and stage it in early October. Helping to organize and produce the event are the Bessie Smith Cultural Center and the Mary Walker Foundation. Paula Wilkes, president of the cultural center, said the event will take place "all day from 11 a.m. to 11 p.m. and it will be free." The festival is scheduled for Oct. 5 and will include live music, vendors, activities and a parade to kick things off. There will be two main stages and perhaps one or two smaller ones, Wilkes said. The Bessie Smith Strut was held on Mondays during the Riverbend Festival for more than 30 years. When Riverbend organizers decided earlier this year to reduced the number of days from nine to four, there was no room for the strut. Wilkes said the cultural center had been talking about doing an event in the fall and "we knew what Riverbend was doing, so the timing seemed perfect." She said the site will be gated both for security reasons and to control "the environment for the vendors. That way people can't bring in coolers and things like that. The merchants told us that was something they wanted." Wilkes said more details will be announced in the next two weeks or so. Contact Barry Courter at bcourter@timesfreepress.com or 423-6757-6354.